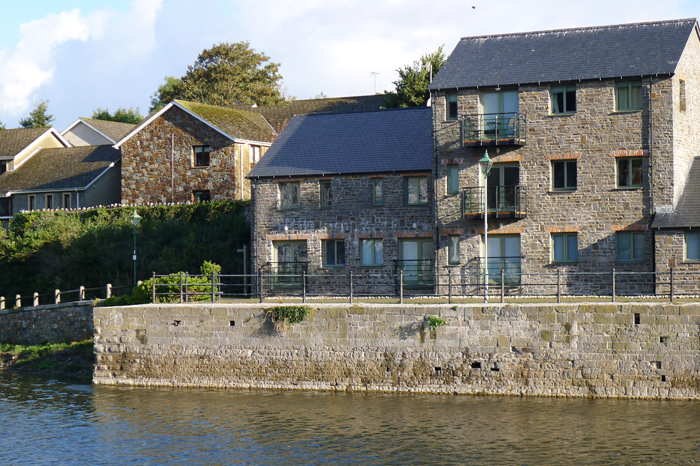 Ty Olive is a modern town house in an exclusive development, North Quay, set right on the edge of the mill pond with a fabulous view towards Pembroke Castle. 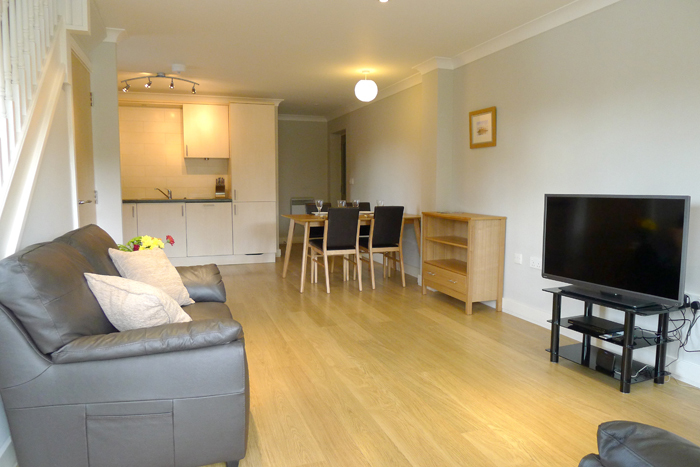 Comfortably furnished and finished to a high standard, step into the light open-plan living space with modern, fitted kitchen and comfy leather sofas. French doors open to the Juliette balcony maximising the aspect over this tidal waterway and the imposing medieval Castle. Stairs lead to the welcoming bedrooms above also offering similar views. 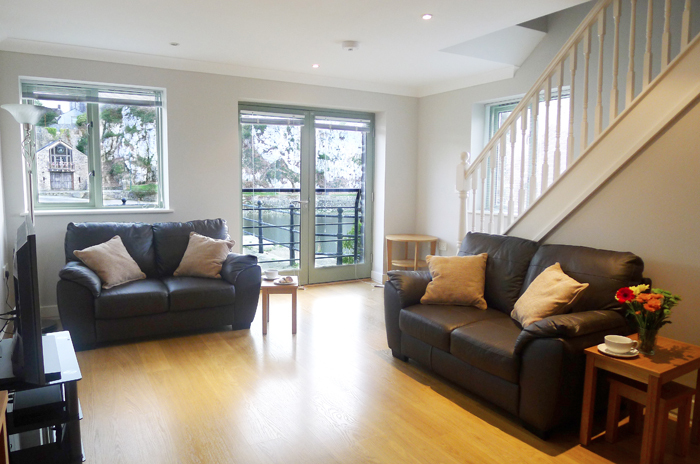 There is a communal terrace at first floor level where you can relax or enjoy some wonderful walks around the mill pond. 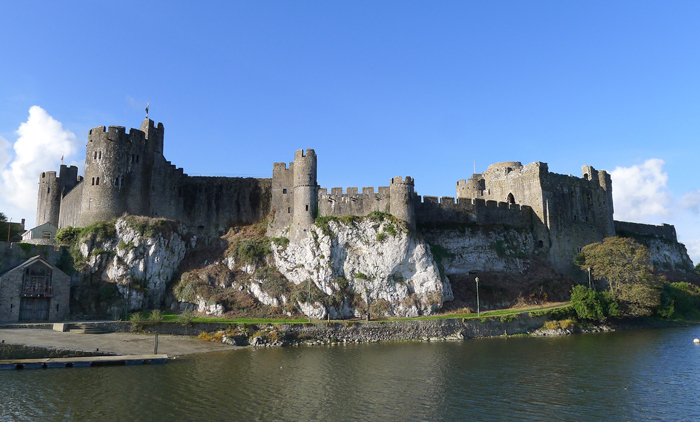 A visit to Pembroke Castle to soak up the history is a must of any holiday, while all the pubs, shops, restaurants and antique centres are on your doorstep. There are a wealth of stunning beaches to choose from all within a short drive. Take to the Pembrokeshire Coastal Path to really marvel at the beautiful coastline, walk round the Lily Ponds at Bosherston to Broadhaven South. Try Barafundle and West Angle Bay and of course Freshwater West, popular with surfers and the setting for the blockbuster films, Harry Potter and Robin Hood. This is the ideal holiday base for a couple or family to get away to whatever the season. 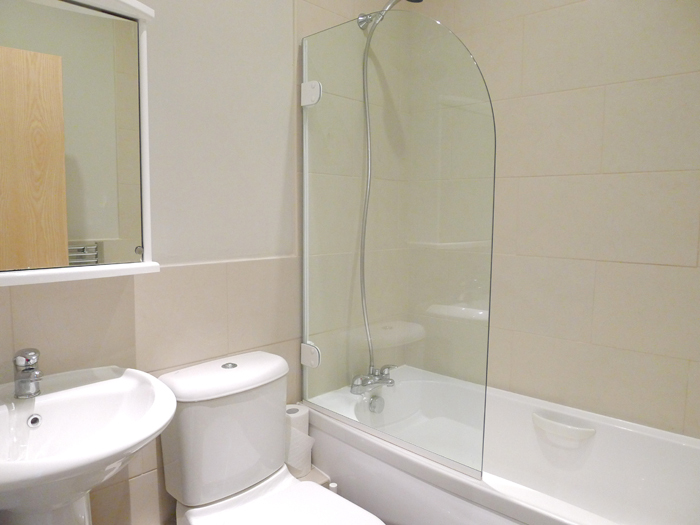 Ground Floor: Open plan lounge/kitchen/diner, cloakroom/whb/wc. 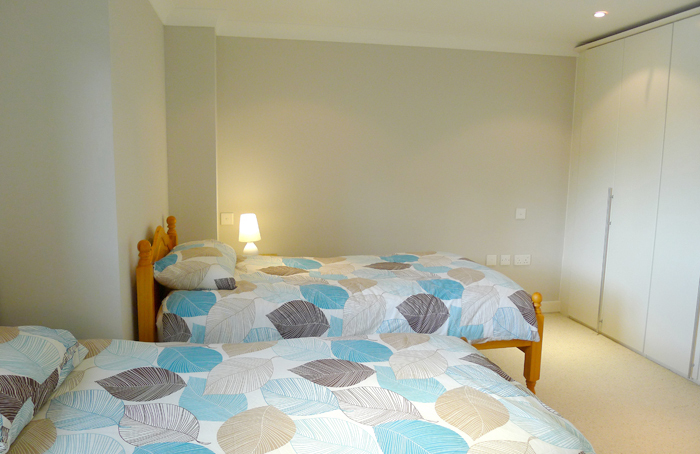 First Floor: Double room, twin room/ensuite shower room/whb/wc, bathroom/overhead shower/whb/wc. Parking: 1 allocated space in gated communal car park. 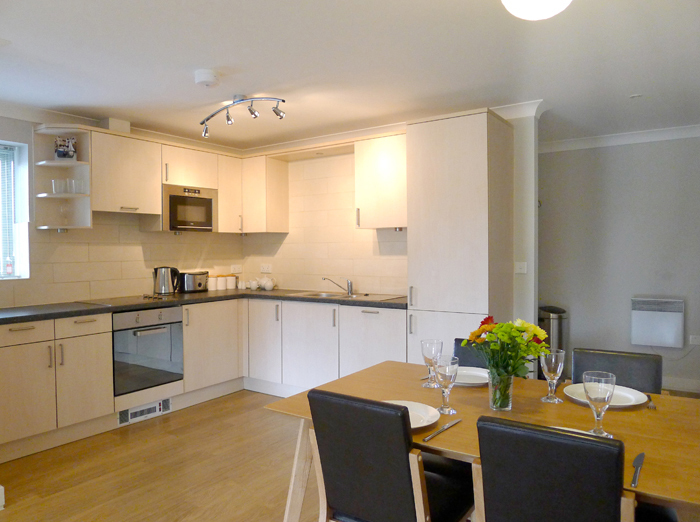 Facilities: Electric oven and ceramic hob, microwave, fridge/freezer, dishwasher, washer/dryer, 2 TVs/Netflix, DVD player, WiFi, towels, communal terrace with patio furniture. Upton Castle is a charming Norman Castle which remains a private family home. The garden consists of 35 acres of listed historic gardens, surrounded by ancient woodlands. 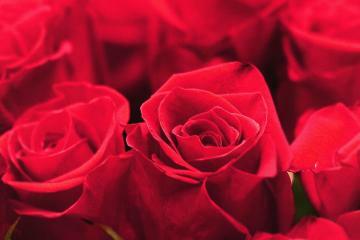 Within the gardens there is a rose garden,vegetables patch and fruit trees. The woodland walk is bursting with wild flowers and sometimes you can even spot the odd otter! Upton is a small castle, a knight's holding and a fortified mansion. It is thought to have been built in the 13th century by the Malefants, a Norman family who held it until the 16th century. The Bosherston Lakes are a man-made lake system, only a little over 200 years old. They occupy three narrow valleys which were carved into the limestone during the last Ice Age. The lakes are famous for their water lilies, leading to their other name of the Bosherston Lily Ponds. 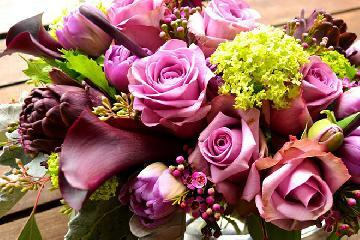 The lilies are best seen in the month of June. A footpath winds its way around the banks to the lovely beach of Broad Haven. Stackpole Walled Gardens on the National Trust estate at Stackpole. 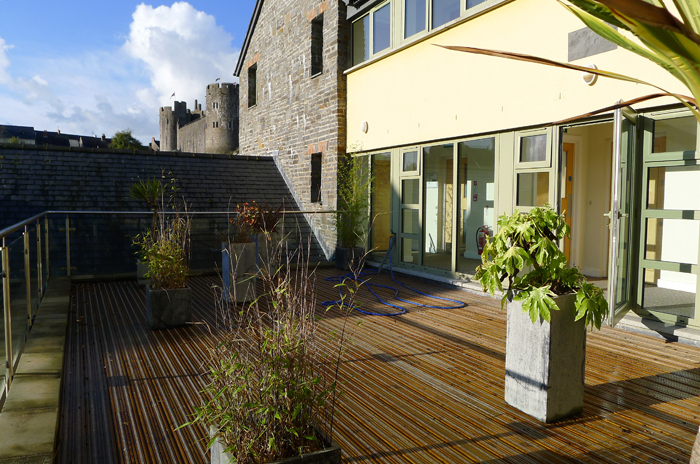 The Garden is managed by the trustees of Pembrokeshire Mencap Limted. The gardens has a large range of plants, fresh fruit and vegetables that you can buy in our Garden shop. Visit the tea room, Cawdors, where you can enjoy delicious homemade and locally sourced cakes and light snacks. Freshwater East is a wide bay of golden sand and blue water backed by dunes and grassy headlands, there is a freshwater stream running through the beach to the sea at the Southern end. Popular with boat owners, divers, fishermen and surfers alike, it has a shop, pub, caravan park and toilets - all set behind the dunes. .
Stackpole Quay beach is a stony beach which is only revealed at low tide. Stackpole Quay is a small harbour set in the cliffs between Barafundle and Freshwater East, it is a favourite spot for kayakers as there are plenty of caves to explore. There are no dog restrictions. No doubt one of Pembrokeshire’s most breath-taking beaches, Barafundle consists of picturesque beauty, golden sands, and sparkling blue waters and is backed by dunes and trees. It’s easy to make comparisons to that of a Mediterranean location. East facing and well sheltered from any winds, this is an ideal hideaway spot. The steep steps that descent from the cliff path down to the beach need to be respected, however the prize at the end is completely worth the stroll. There are toilets and a cafe at the car park half a mile away at Stackpole Quay, which can be accessed along the headland coastal path. Backed by sand dunes, which are an important habitat for wildlife, this beautiful beach is a vast area of soft pale sand. Offshore is a large and dramatically-shaped limestone stack, known to locals as Church Rock. The stream running down to the beach drains from Bosherston’s Lily Ponds, part of the Stackpole Estate. The lakes cover about 80 acres and support a rich variety of wildlife including otters, water-fowl, dragonflies and water lilies. Forming part of a National Nature Reserve managed jointly by the National Trust and the Countryside Council for Wales, these Lily Ponds are idyllic to explore and are also dog friendly. Grab an ice-cream and a cold drink from the car park’s van during the summer months, or take a walk or a short drive back to Bosherston village and try a fabulous afternoon tea at Ye Olde Worlde Café or a hot meal at The Bosherston Inn. This quayside Café is famed for its Italian coffee, light lunches and delicious homemade cakes. 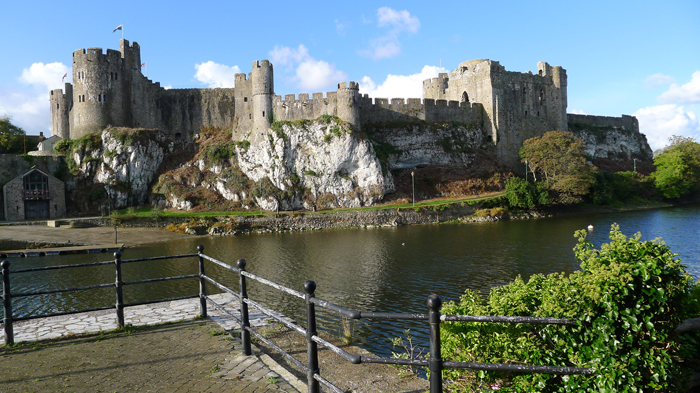 You can either sit inside or outside with views overlooking Pembroke castle and estuary. 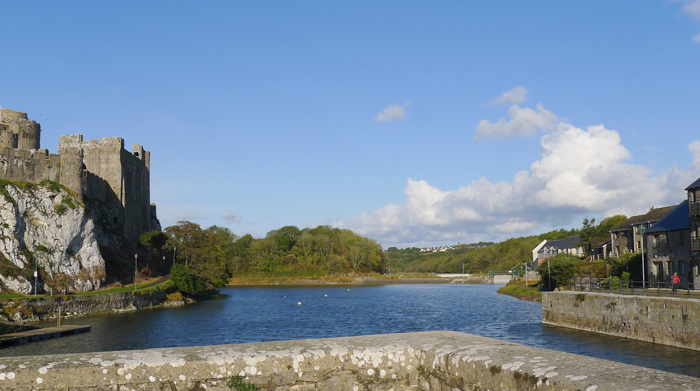 The Watermans Arms is open all year round and located directly overlooking the Mill Pond in Pembroke. With views of the Castle, swans and wildlife that live on the pond, it makes it a great location to sit back and enjoy a drink or a bite to eat. The pub has both lounge and bar areas and serve a good selection of snacks and traditional pub meals throughout the day and evening. Please Note: Dogs are welcome Notice is needed to prepare dishes which are diary and gluten free. The Coach House is a lovely restaurant with a friendly pub atmosphere. Whether it is just a drink or a nice meal with friends or family, The Coach House is a great choice. 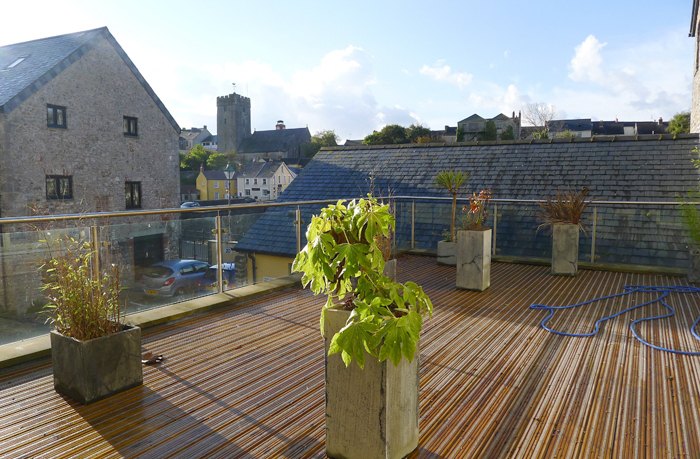 On a warm summers evening, head out to the terrace overlooking the main street of Pembroke for a drink. Y Cerrig Glas is one of the popular string of Marston's pubs throughout the UK. They offer two for one meal deals, traditional pub classics, lighter meals such as jacket potatoes and sandwiches, a children's menu and a whole range of mouth-watering desserts! 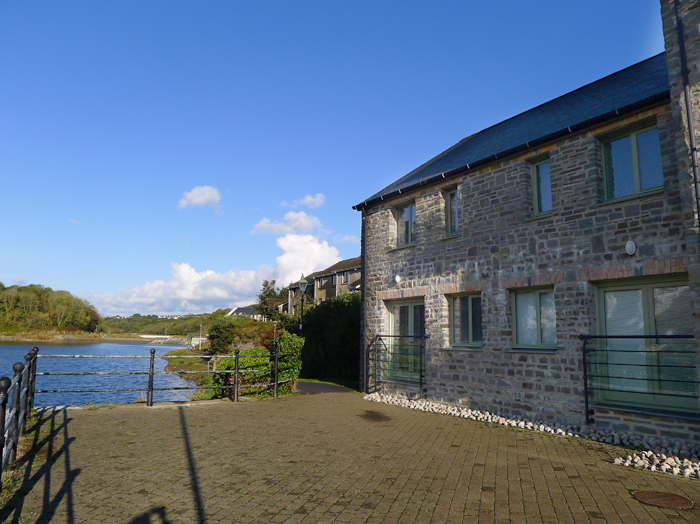 Corn Mill Cafe is located off the A477 between Pembroke Dock and Milton. The Kenniford family have been farming in Pembrokeshire for 4 generations. The farm shop and cafe is set in lovely grounds with stunning views over the duck pond and surrounding countryside. The farm shop sell home grown meat, seasonal vegetables and locally sourced quality produce which they use in their homemade dishes in the cafe. All the pork, beef and lamb comes direct from our farm. The Brewery Inn at Cosheston is highly recommended for it's good quality delicious food, at very reasonable prices. 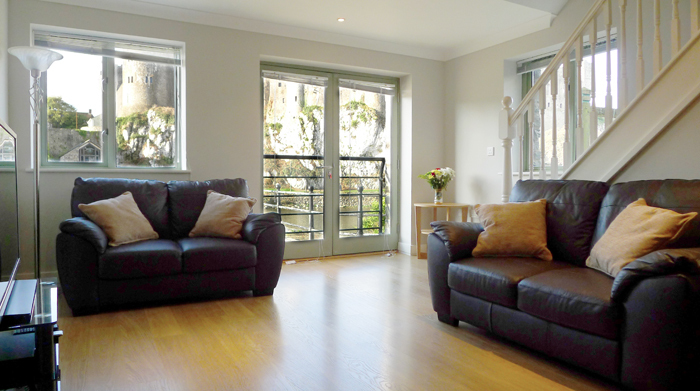 They welcome families and well-behaved dogs, as well as hosting quiz nights and live music. 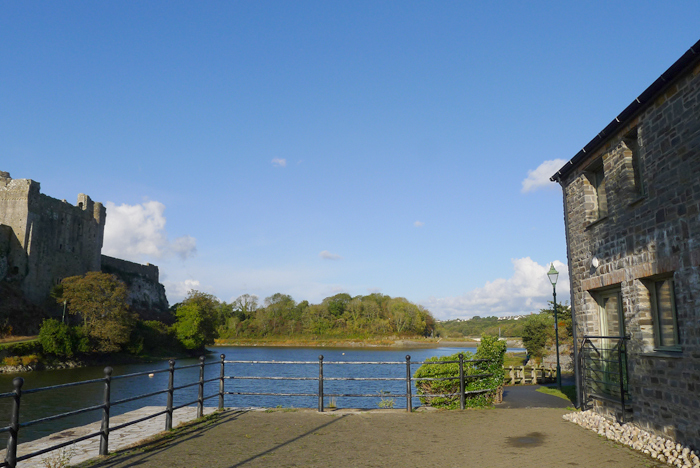 The Ferry Inn is a popular bar and restaurant situated just underneath the Cleddau Bridge in Pembroke Dock, overlooking the Cleddau estuary. It offers quality meals, specialising in local produce highlighting fish on their specials board regularly. They also offer Sunday lunches, patio barbecues on warm Saturdays as well as pitchers of beer! At The Jolly Sailor the main food area is housed in the lounge and conservatory, with views overlooking the Cleddau bridge and river where you can relax, enjoy the food and ales, whilst gazing out on to the scenery of the Cleddau. 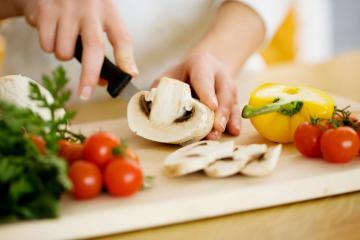 A large range of menus, from steaks to sandwiches are available as well as the specials boards. They also have their own pontoon which attracts the boating and yachting trade up to the shore. Children, accompanied by their parents, can have a go at crabbing off the pontoon too. 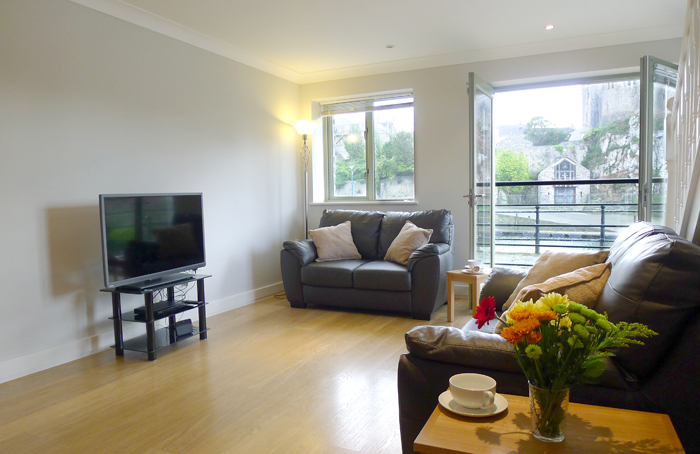 Sit outside in the garden, enjoying panoramic views of the river. A rustic wooden children's play area is popular for the smaller guests, which has a range of play equipment, varying from a slide, swings, a see-saw, climbing nets, a bridge and walking planks. Please Note: Dogs allowed on leads in the garden and bar areas. All of this is backed up by a large car parking area. The Dial is set in the village of Lamphey, just 2 miles from Pembroke. A very traditional spacious pub offering home-made lunch, dinner and Sunday lunches with home-made desserts. Kids snack box and children menus available. With Open fire in the bar area, a pool table and games room for the children to play. Small seating area in the beer garden at the back of the pub. They serving a wide selection of real ales, wines and spirits. The Speculation Inn is a typical country pub offering good home-cooked meals, as well as a very popular Sunday lunch each week! They also offer themed nights as well as live music throughout the year. Pembroke Carvery is a Chinese carvery restaurant in the heart of Pembroke town. Eat in or take-away options available as well as special Cantonese meal deals. Built in the 13th Century, this castle is half fortified manor house and half fully developed medieval castle surrounded by forty acres of land and gardens. The castle and gardens is closed over the winter months for essential maintenance but is open for special occasions. Please Note: Dogs must be kept on leads at all times. We'd just like to say how much we thoroughly enjoyed staying at Ty Olive, it was well equipped for a young family with a travel cot & cot mattress which was brilliant. Having a 'home' setting made it easy to keep our five year old's bedtime routine. The only issue was that there are only blinds in the bedrooms & we'd forgotten our travel blackout blind so had to improvise & use black bags to make it darker & prevent the children getting up with the sun! It also had cleaning equipment such as washing liquid, dishwasher tablets etc so next time we won't have to pack those. The location was amazing with covered parking, so even when it rained we were able to load the car comfortably. 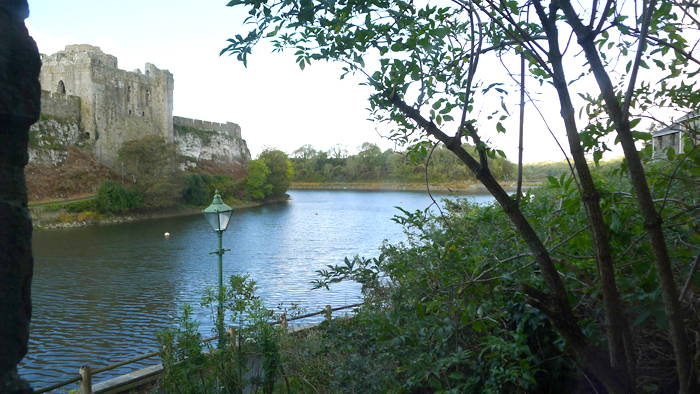 Close enough to the main town, shops & food outlets without being in it and there were lovely walks around the castle with a brilliant children's play area just a short walk away. We will definitely be returning & were sad to leave 'our' cottage which was so homely & comfortable. Highly recommended! Approach from A477, approximately 2 miles to the centre of Pembroke. Covered parking area. One allocated parking space directly opposite the town house. Main entrance door reached by ramp with handrail on right-hand-side (no steps leading to property). 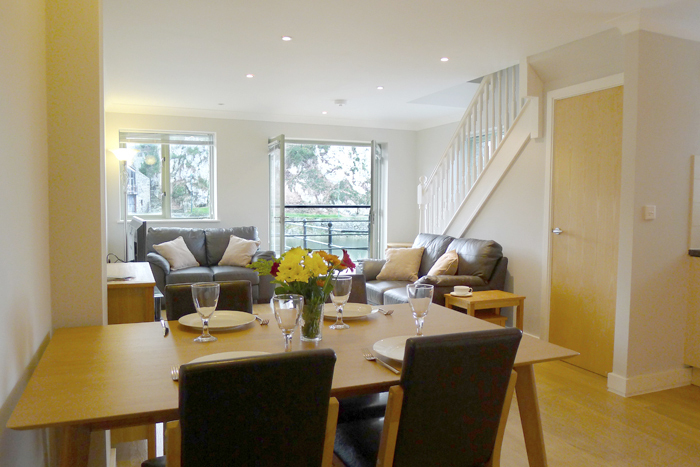 Outdoor seating area for residents on first floor. Access by stairs or lift. 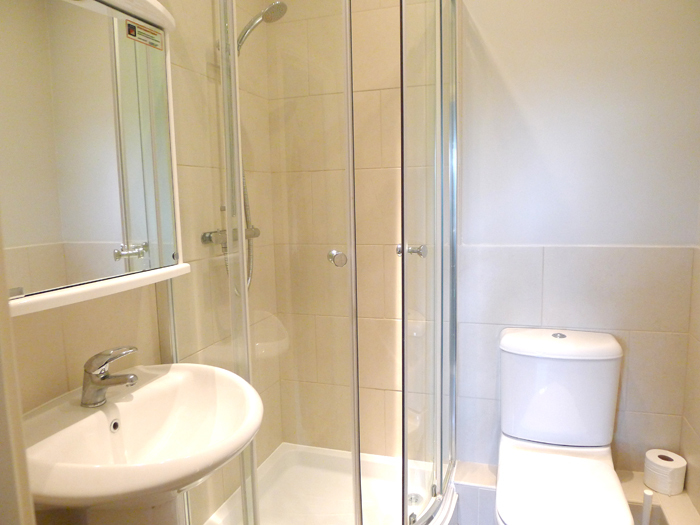 Downstairs cloakroom with WC and hand basin. Kitchen has extensive work tops. Low-level oven and shoulder-level microwave. 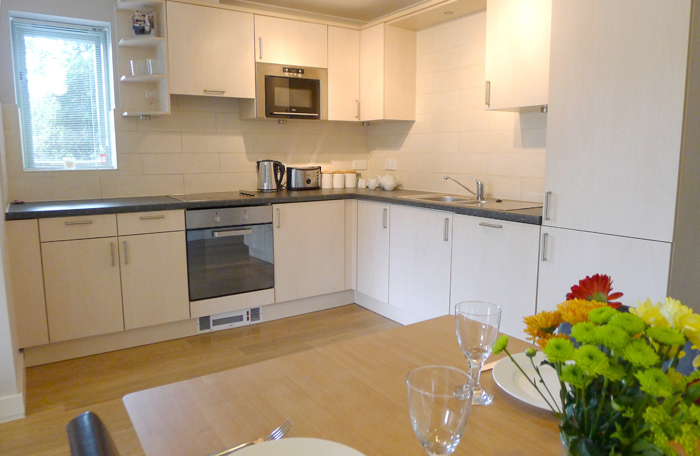 Kitchen fitted with washer/drier, dishwasher & fridge/freezer. External lighting system in undercover parking area, activated by motion sensors. 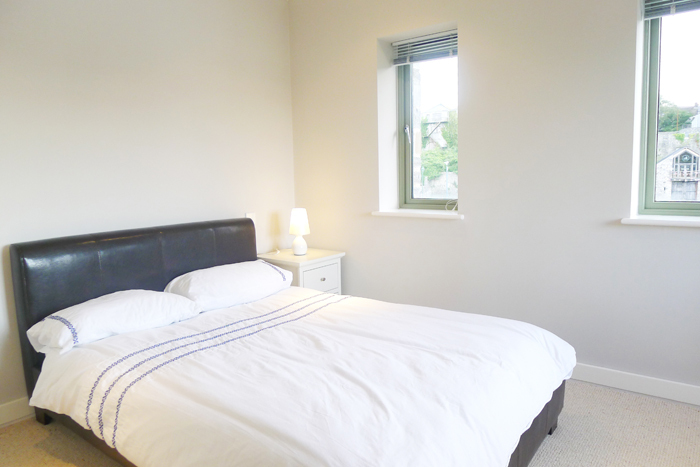 Public transport: Local bus service approximately 500m and train station approximately 1.5km from property. How would you like to contact us about Ty Olive?